Simon Busuttil said he found the court’s decision ‘unbelievable’. 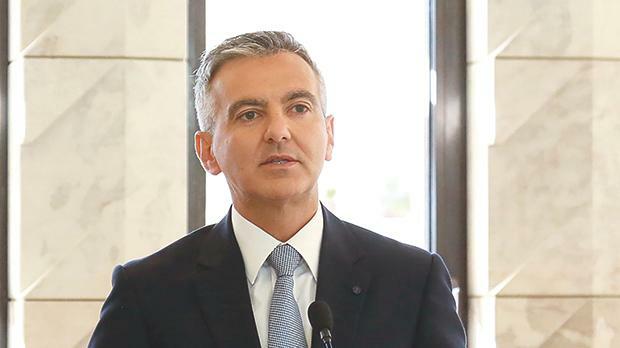 Former Opposition leader Simon Busuttil is assessing his options after his request for a magisterial inquiry into the Panama Papers was turned down. The Criminal Court on Tuesday said that Dr Busuttil had failed to indicate sufficiently that any crime had been committed, in his request for the protagonists of the data leak to be investigated. In July 2017, Dr Busuttil had asked for a magisterial inquiry to be opened into the allegations. At the time, Magistrate Ian Farrugia had found that there was enough reason to justify an inquiry, but appeals had been immediately filed against that decision by Prime Minister Joseph Muscat, Tourism Minister Konrad Mizzi, OPM chief of staff Keith Schembri, Nexia BT’s Brian Tonna and Karl Cini, and businessmen Malcolm Scerri and Adrian Hillman. Mr Justice Giovanni Grixti said in this week’s judgment that Dr Busuttil had given a number of facts which in themselves did not indicate any wrongdoing. He, therefore, overruled Dr Farrugia’s decision and said an investigation was not justified. How on earth can we get justice served in Malta? Contacted for a reaction on Wednesday, Dr Busuttil said he found the decision “unbelievable”. “You would never expect a court to turn down a request to start an inquiry when a top minister and the Prime Minister’s very own chief of staff were caught red-handed with a secret company in Panama to channel €5,000 a day from the owner of the power station,” he said. The sentiment was also reflected in a tweet Dr Busuttil uploaded shortly after the judgment was published. Dr Busuttil said he was still looking at what avenues for justice were available. One possible way could be the Constitutional Court, however, this would see the case drag on for quite some time. Meanwhile, Dr Mizzi has formally dropped the constitutional case he had filed last month aimed at blocking an inquiry. Dr Mizzi had claimed that his fundamental rights had been breached in the judicial process, but withdrew his request after this week’s judgment.